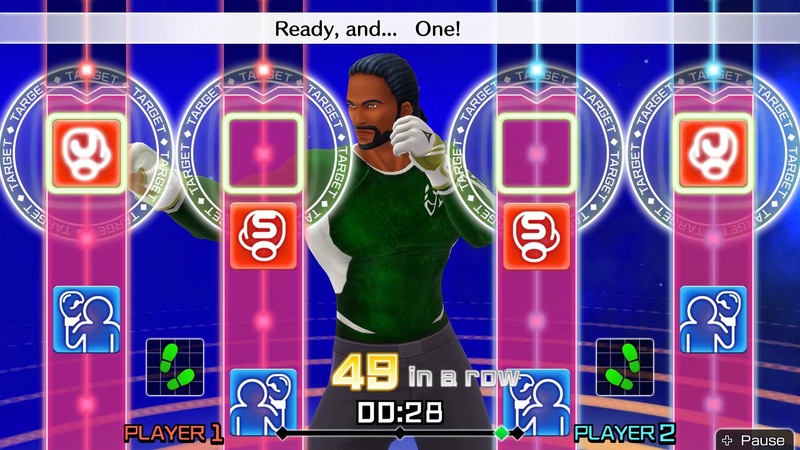 Ahh January, what a tactical time to release Imagineer?s Fitness Boxing exclusively for the Nintendo Switch. Everyone would have been munching away on chocolates, turkey, tofu, and getting merry as the new year came around. 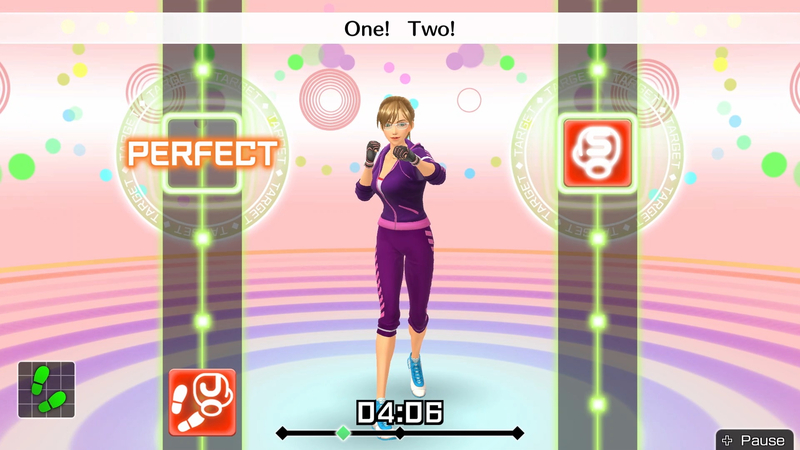 Nintendo knows people are planning to get fit in the new year. Thankfully, if you want to get fit then you?ll be able to do it from the comfort of your own home, or anywhere you want thanks to the portability of the Switch. 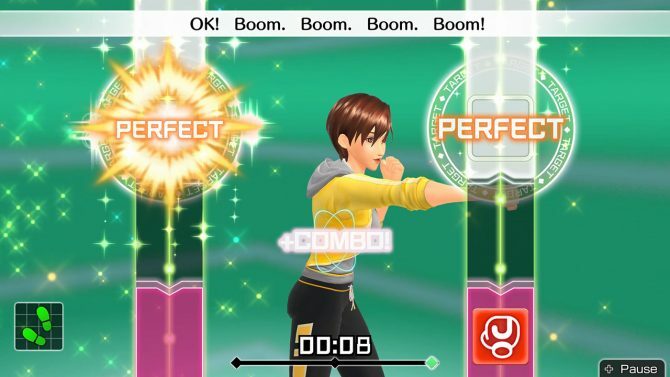 While Fitness Boxing isn?t a follow up to Wii Fit it is the spiritual successor. 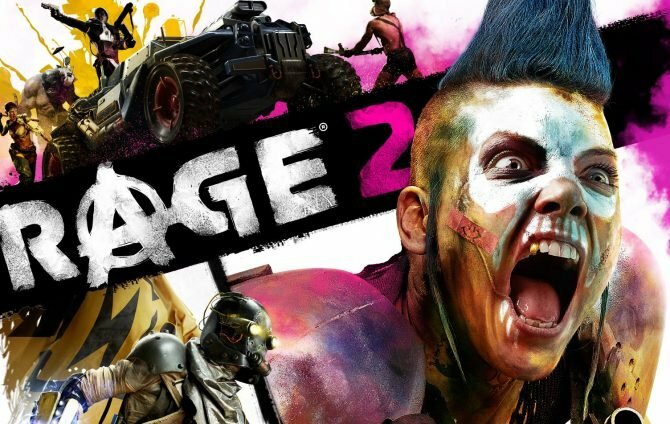 It bears similarities such as box art, the UI, and even the bright, vibrant color scheme. The main differences are that your fitness instructor isn’t a faceless mannequin now. There are also no requirement to balance correctly on a large board. As a result, rather than working on correcting your posture and balance, you’re instead working your muscles by using beat-themed workouts. It’s like a violent Just Dance. My wriststrap locked firmly around my wrists. My stubble probably holding remains of a giant cappuccino cupcake I had eaten prior. I’m ready to punch the air. I’m assigned Lin, the default personal trainer who rocks short hair and a face with actual details, unlike the Wii Fit trainer. Another three Fitness Boxing female trainers or two male trainers are available after training. They come with the ability to customize hair color, eye color, and clothes. They train with you in single-player, punching to the beat towards you with the occasional?and weird?thumbs up. It’s only possible to play Fitness Boxing with the Joy-Cons detached from the system. Wearing the wriststraps serves as an actual lifesaver in case my expensive Joy-Cons slip out from my sweaty clutches. It’s also smart to ensure there’s a fair amount of room surrounding you as later moves require stepping forward and back. Of course, the game will inform you about all of these safety measures. Lin walks me through what I want my daily workout to consist of. This is a workout that you perform each day in hopes of reaching your desired targets. I’m given the choice to include stretches to warm up and wind down; I’m asked how long I want the workout to last, being offered 15, 25, 35, and even 45-minute workouts, and then what areas of my body I wish to target. I can choose to have cardio, strength and cardio, or maintenance workouts. I wanted to focus on burning those hard-earned Christmas calories, so I chose cardio. Lin guides me through stretches that seem to bring back nostalgic memories of doing yoga poses on Wii Fit. These stretches seem to remain consistent, embedding a routine mentally as a reference for warming up when away from the Switch. There are no visual or haptic-feedback cues to help with controlling your breathing. This was something I found rather odd given that knowing how to control your breathing seems like a fairly important factor. Without the breathing focus, I found myself focusing more on mimicking rather than moderating myself. My instructor, Sophie yells to get me into the rhythm, but I feel more like a lost cause in the middle of a lonely dancefloor. Sophie bobs back and forth in time, surrounded by visual cues such as flashing circles around the hit areas. Columns pulsate where punch types appear, and punch types scroll in vertically upwards along to the beat. Even the background displays a plethora of visual mess to keep the workout feeling exciting. Yes, Fitness Boxing does look visually exciting, but I still find myself falling out of time when it comes to performing the indicated move. The instructor does warn that it can be easy to lose focus and to try and remain coordinated. 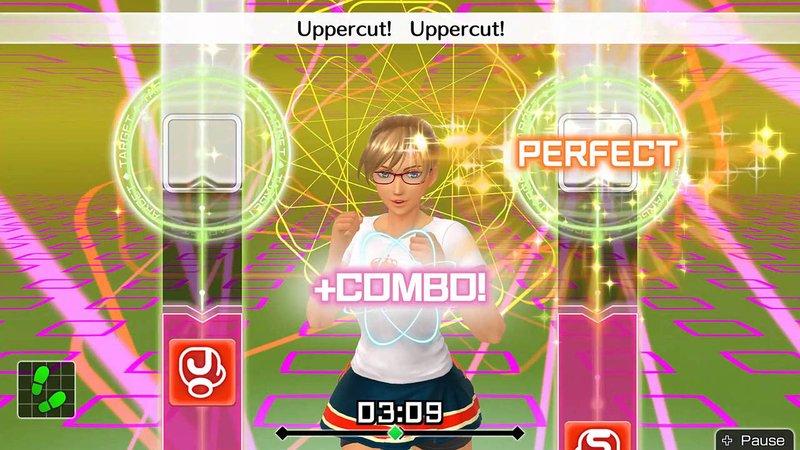 You’re rewarded with successful or unsuccessful punches and dodges with Just Dance style prompts “Miss”, “Ok”, and “Perfect”. These determine your overall number of stars you get at the end of your workout. You can unlock more cosmetics and songs by reaching a certain amount of punches being counted. Additionally, the better you do in a session, the more stars you earn. These stars allow you to unlock exercises that get progressively more intense. This system actually works incredibly well, encouraging you to go through stages for the benefit of your health rather than jumping right into advanced workouts. Rather frustratingly, some punches don’t register with the Joy-Cons and list your punch as a miss. Occasionally sharply pulling your arm back for a right hook?for example?gets accidentally mistaken for an early punch. It can be a bit jarring when this happens and often resulted in me flapping my arms about in a flurry. After just under a week of punching to a beat, I noticed something. I didn’t even need to punch. I decided to try just flicking my wrist instead and the movement itself was enough for the game to assume I had punched. 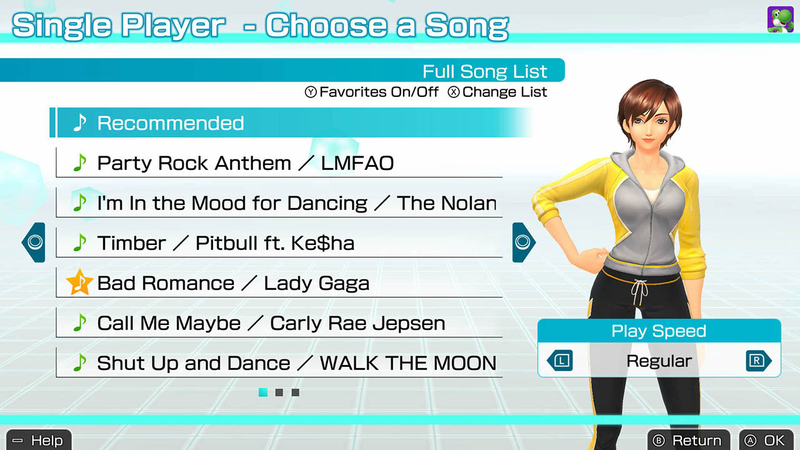 I was able to just…sit down, kick my feet up, and pat my leg with the Joy-Con in time to the beat. 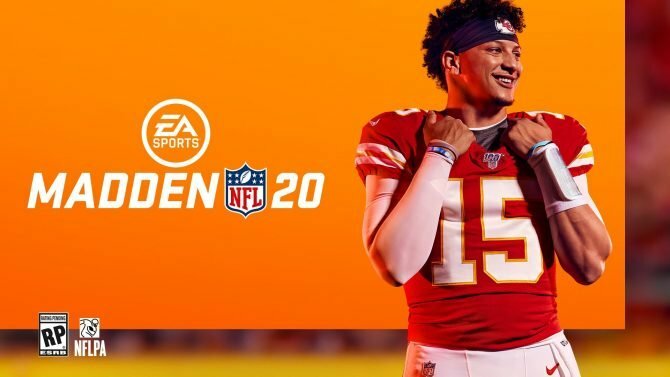 Of course, this wasn’t the point of the game so fear not, for the benefit of this review I sweated, I punched, and I grunted. All for the sake of bringing an informed opinion on Fitness Boxing. I’m glad I did. I could feel that my core had been stretched?probably a bit too much?and I felt endorphin, oxytocin, serotonin, and dopamine being released from my brain. I felt good! Earlier sessions consist of a few punches evenly spaced out and set to one stance. Progressively, more punches get added and then you’re performing eight combos in a row before switching stance. Once you’ve changed stance you do the same again until all punches have been completed, then the workout ends. I really did feel my muscles getting a workout and on the day I racked up 1,400+ punches by overworking myself, I woke up the next day stiff and aching. It’s just a shame that there’s no guide for breathing during warmups and no step-by-step training. You might think just performing jabs and straights is a simple process, but there’s a certain way to ensure you’re punching right and the game fails to inform you. 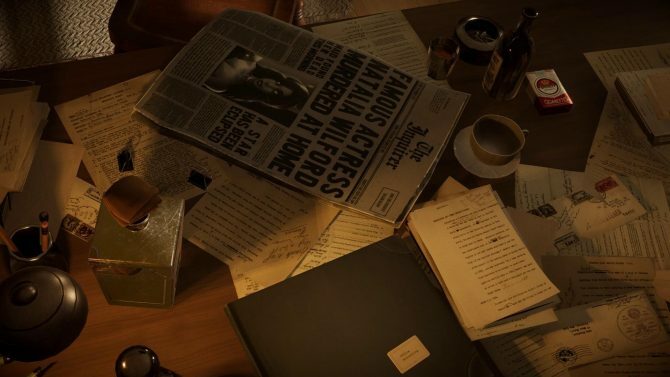 You do get occasional dialogue notes such as, “Keep your punch straight, then snap back.” or something similar, but you’re thrown into it rather than instructed. On the topic of instructors, you can kit out your favorite trainers by choosing from various clothing items, and customize their hair and eye color. 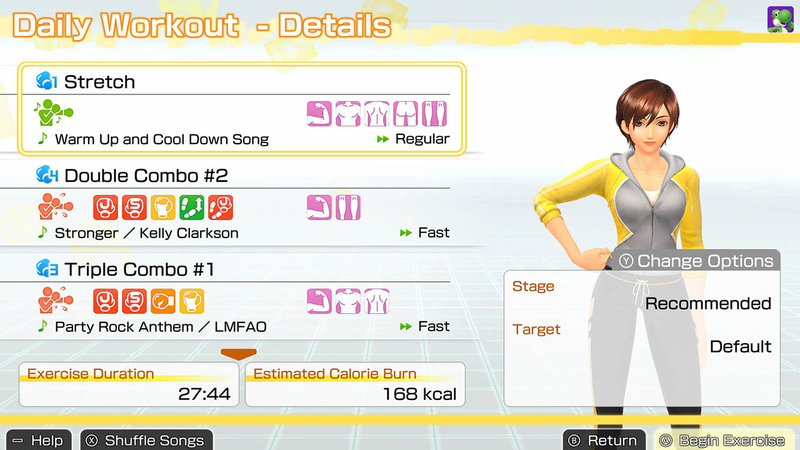 It’s certainly a lot more customizable than Wii Fit, but for what gain other than attractiveness? It feels unneeded and is a weird distraction. 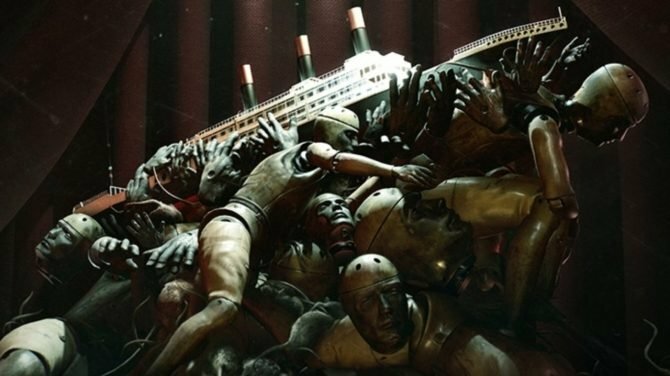 The perk of unlocking more items and songs is a drive in itself, but it wears thin and ends up feeling unrewarding. It doesn’t matter though, your instructor will continue being overly positive in a weird pandering way. There are three two-player options, so if getting sweaty with your friend is what you want to do you can do it perfectly with this game providing both of you your own a pair of Joy-Cons each. 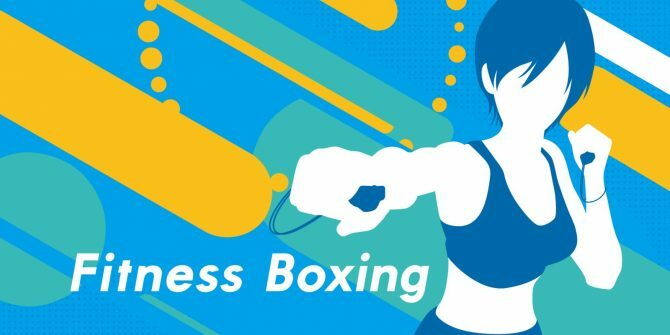 However, Fitness Boxing seems to be targeting teenagers and above and fails to include potential fun games that could be played with friends. 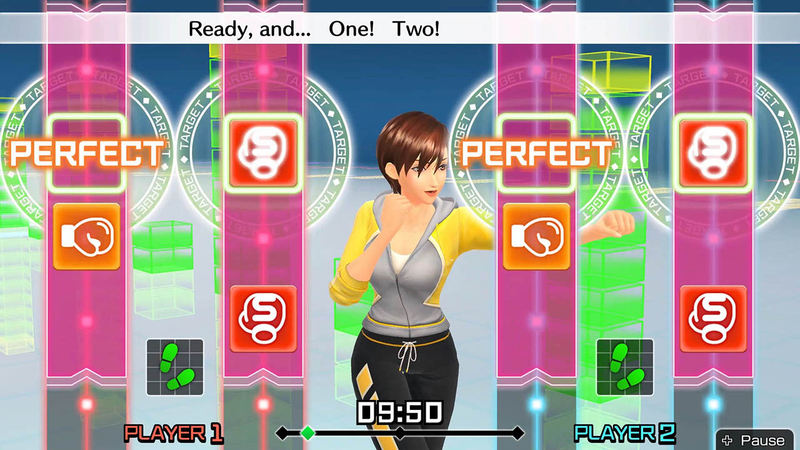 Wii Fit at least offered balance games that you could play if you didn’t feel up for dedicating to an exercise. Fitness Boxing is all business and no fun in the grand scheme of things. 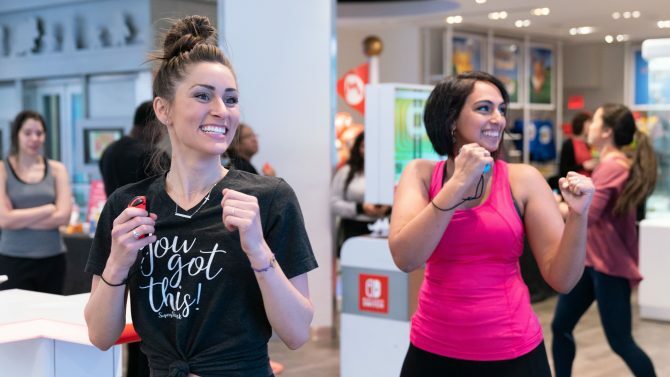 Even free training is only fun in the sense you can choose your own preset workouts and a song from the pre-installed playlist. Over time you do feel your body growing used to the active routine, but I still haven’t grown used to the sudden addition of an upcoming punch. Relying on Bernado alone to yell that we’re adding a jab isn’t enough, so having a visual cue somewhere to invite the next addition would fare better for preparation. The visuals keep a friendly atmosphere and also makes Fitness Boxing feel like something you’d expect to see at an arcade. The HD Rumble in the Joy-Cons will vibrate with the intensity depending on an “Ok” punch or a “perfect” timed punch. 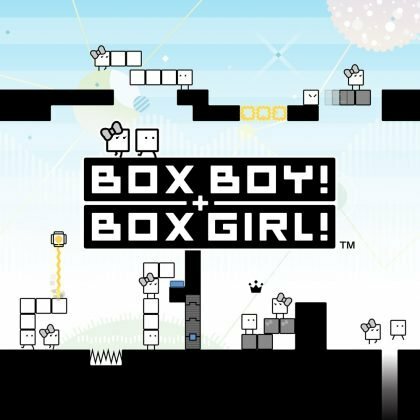 As for the audio, the game features a range of popular tracks, such as songs by Lady Gaga and Avril Lavinge, however, they’re purely instrumental and share a similar beat. Honestly, the music wasn’t impacting enough unless you boost the volume and turn down the instructor’s voice. While Fitness Boxing does a good job at encouraging you to live an active life in which you return to the game daily to challenge yourself to more types of workouts, it doesn’t seem to have a realistic price point. It feels a bit steep for a game that isn’t designed to actively be a replacement for proper training. It seems unreliable when it comes to tracking your weight, BMI, and even calorie burn estimations due to the fact it doesn’t have anything to back up your results outside of assuming you’re actually working out correctly. 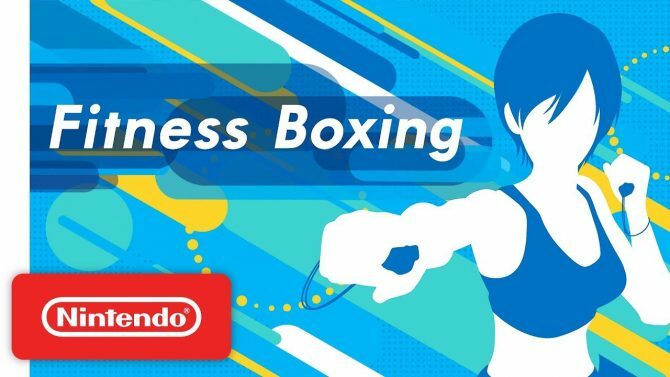 One of the selling points made is that you can take the Switch system out and use Fitness Boxing on the go, but who’s going to prop it up on a train and whack out a few punches for 5 minutes? Who’s going to take their Switch to the beach and do some stretches after a jog and risk getting sand in the console? I just don’t understand the benefit of being able to workout anywhere as much as I want to understand it. Rather weirdly, any time I attempted to take a screenshot of my progress using the Joy-Con screenshot button, it would inform me that it was unable to capture a screenshot at that time, so all imagines in this review are official Nintendo images. As a result, I’m unable to show off examples of how I customized my trainer and how far into the game I got. I also can’t show my graph changing each day with a lazy day showing an older “Fitness Age”. What I will say is, once the game starts incorporating dodges and weaves into the combos, even the sweat produces sweat! 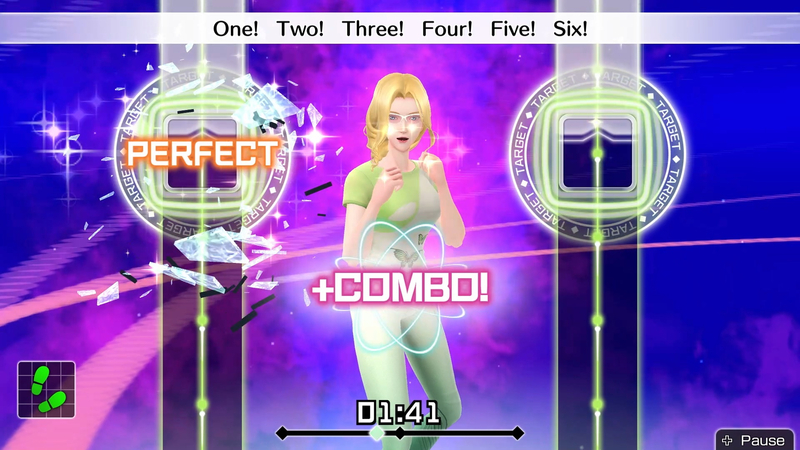 While Fitness Boxing does itself well as a tool to keep you active outside of gym sessions, it misses an opportunity to engage with more audiences by introducing fun mini-games that Wii Fit offered. The encouragement you get to unlock more tracks and more intense workouts is implemented incredibly well and works by building your stamina up for the more intense workouts. 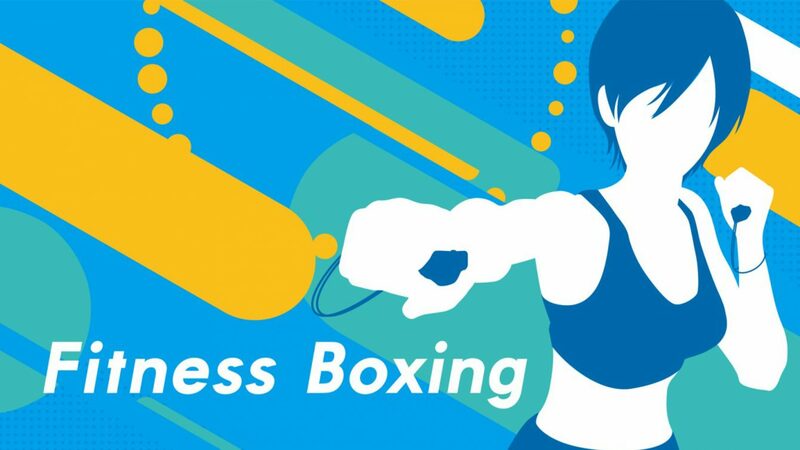 Fitness Boxing just suffers from feeling inaccurate, even more so when punches and dodges aren’t correctly registered by the Joy-Cons. It is safe to say though, Fitness Boxing is perfect for those who want to lead a healthy and active lifestyle, but if you’re looking for some casual punching fun, stick to Arms. Fitness Boxing looks like it makes a good public workout tool, maybe it could pop up in arcades next! ?